Thanksgiving weekend means the holiday season has arrived with it comes that time of year when the citizens of red and blue America do something rare, they spend time together and talk. The holidays are when that conservative uncle from rural Indiana can sit across the dinner table from that liberal cousin from New York City and exchange views. But new poll data from Reuters/Ipsos suggests neither may be particularly interested in talking politics this year. 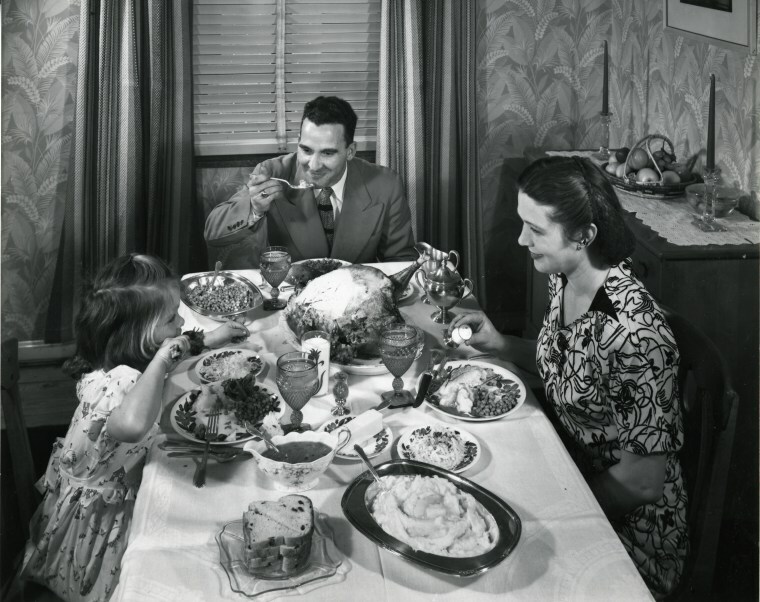 In fact, on a list of conversation topics that might cause heartburn at the holiday dinner table, the poll finds that politics ranks number one – ahead of work, finances and even religion. More than 60 percent of those polled say politics is one of their least favorite topics. That’s a high number in a nation where the political divides are deep. And, more surprising, this is one point where Democrats and Republicans find some agreement. Among people in both parties, more than six in 10 say they would rather avoid talking politics this season. The dislike of politics runs a little higher among independents. Of course, politics this year can mean a lot of things, from health care to taxes to sexual harassment, but undergirding all of it in 2017 is President Donald Trump, the man who has dominated the nation’s political discussion. That may help explain a split in the “holiday conversation” data along racial lines. In the poll, white people were the much more leery of political chatter than black or Hispanic respondents. To be clear, the numbers are still high for the minority groups in the poll – higher than other topics – but they’re still notably lower than they are for whites. Why? Other poll data show white voters are the most divided in their opinions of the president. The latest NBC NEWS/WSJ poll showed whites were evenly split on Trump 47 percent approve of his job performance and 49 percent disapprove. Among minority voters the numbers are more uniform, 17 percent approve and 78 percent disapprove. Or put in terms for the holidays, all things being equal, a conversation about Trump is more likely to cause an argument around a dinner table where everyone is white. Perhaps for that reason, there is less desire to talk about politics among white people this holiday season. Of course, these numbers are for the public in general and the dynamics of family and friend groups can vary greatly. It could be that the person most intent on discussing politics this holiday season is the aunt who proudly labels herself an independent, particularly with the harassment stories dominating the political and other news currently. Or the person most reticent to discuss Washington may be the solidly conservative friend who wore the Make America Great Again hat to the festivities last year. But, for the most part, the Reuters poll (as well as others) suggests that as red and blue America come together this holiday season, it seems politics has them sharing one common thought: let’s take a break. Dante Chinni is a contributor to NBC News specializing in data analysis around campaigns, politics and culture. He is director of the American Communities Project at George Washington University's School of Media and Public Affairs and a data/politics reporter for the Wall Street Journal.